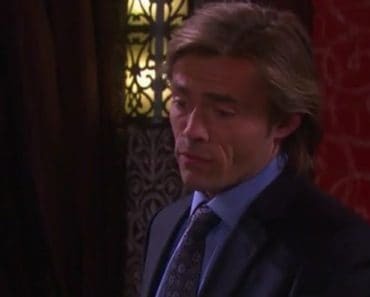 Days of Our Lives fans are watching Ben and Ciara grow closer, picking out a couple name for them, and wondering if she’s just done with Tripp. We mean, she should be. He basically jumped right into bed with Claire the moment he realized that Ciara was not going to bed with him. Rather than talk to her or wait for her to open up to him, he bailed on her. And that’s not good. But the point is that we are watching a very strange bond occur, and no one knows how to feel. Is Ben bad? Is he good? He is a serial killer and all that, so it’s questionable how we really feel about him, but it’s interesting to see this line of love going in a direction we did not see coming. It’s not like anyone else is happy he is out of jail and back in town. We also saw Abigail with a pregnancy test, a chance encounter with Gabi, and a very tense moment. She’s not aware that her friend is out to get her, and she needs to watch her back. But then there is Chad, who had some words for his new brother. He wants to make sure Stefan doesn’t even think about coming near his wife ever again in any capacity. 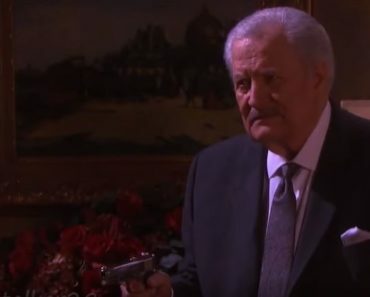 He’s not going to stand for it, and we like to see him stand up for Abby that way. He might be struggling with the way he feels following her night in bed with Stefan as her alter ego, but he’s working on that and still managing to love her regularly. It’s a moment we cannot even begin to describe, and it is certainly a good one for everyone. But, only time will tell where this is all going for them. We’ve talked about Lauren Koslow before, and we will talk about her again. She’s an amazing actress, of course, but she’s also always so fashionable, and her fans love it. One recently sent out a tweet that she always looks super fashionable and amazing, and the show could not help but agree with the fans on this one. She’s always elegant and put together, and we love every second of watching her when she’s looking so fierce. What’s your opinion of her personal style? 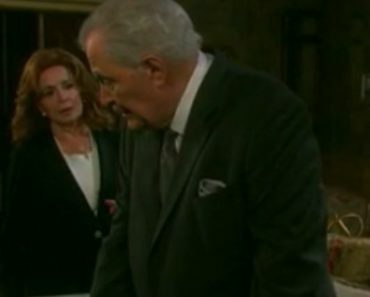 The next thing we can all expect to see on Days is a big tense moment between Gabi and Abby. She has no idea Gabi is holding on to so much animosity, hate, and anger for her and what Gabby did to her. Everyone is struggling got understand that Abigail and Gabby might be the same physical person, but they are not the same person in general. And that is a problem for them. And now we have to deal with that and what is means for them. She’s going to confide in her friend she’s pregnant with a child she wasn’t sure she wanted, and she has no idea who the father of her baby really is. Is it her husband, Chad? Is it her husband’s half-brother, Stefan? She doesn’t know. 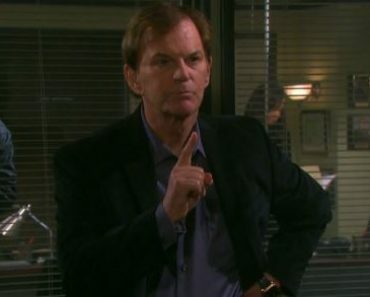 We are also going to see there is a big moment between Hope and Rafe. They are discussing where Ciara might be. Hope feels better knowing her daughter is at least alive and well, but she has a thought that her daughter might be with Ben. And that’s horrible news. She just knows she needs to find her quickly and get her back to safety, and she needs Rafe’s hope finding her daughter. 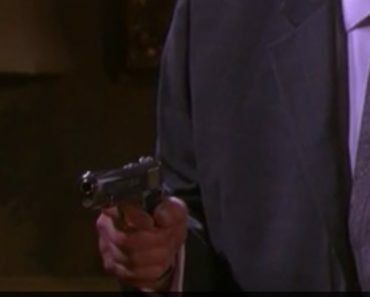 Rafe, of course, will do anything for Hope. He is so in love with her and wants her so much in his life as his wife that he will actually do anything for her. It’s a beautiful thing, and they do make such a wonderful team. We are so sad Sami will come back and destroy everything he’s working for.